Wood has the most friction and is the softest surface. There is often more oil in the heads to protect the surface of wood lanes and, generally, the heads dry up faster on wood than synthetics. Brunswick Pro Lane has the least friction. AMF HPL lane surface is somewhere in the middle. Brunswick Pro Lane has markers down the lane while AMF synthetics have a consistent pattern to the colors of the “boards” and there are no down lane markers. This leads to a KISS (Keep It Simple, Silly) guide for choosing equipment for lanes. In my opinion, you want to use pearl or hybrid equipment on wood and solid or hybrid on synthetic. Why? Pearl balls tend to save energy/skid more in the heads and this will counter the additional friction found on the wood surface. This allows the ball to save energy for the back of the lane. Solid surface balls are better for synthetics. They have more friction built into the cover which allows the ball to start to slow down and change direction. Hybrid covers share characteristics of both pearl and solid and can be used effectively on most surfaces. There are a myriad of methods to change the surface of the ball. Pro shops use different methods than the consumer and they almost always do a more accurate job of not only repeating a surface preparation but resurfacing the ball as well. If you choose to do your own surface prep, be sure you are proficient. It is an awesome arrow to have in your quiver. Generally speaking, the duller the surface of the ball, the sooner the transfer of energy will happen. The shinier the ball surface, the later the transfer of energy begins. You can dull a pearl ball, but the cover will still encourage it to slide in the oil and save energy for down lane. You can also shine/polish a dull ball, but it will still have a tendency to read earlier. In my experience, you can alter the length a ball goes before reading the lane with surface preparation, but you cannot override the natural tendencies of the cover of the ball. The core of the ball is a factor. Symmetrical cores are balanced in shape. If the core were split in the middle at any point the two sides of the core would be of the same weight and shape. Asymmetrical cores are not balanced in shape. If split in half at a given point of the core, the weight and/or shape of the two halves would be different. Symmetrical cores have a smoother motion off the breakpoint. Asymmetrical cores have a sharper motion off the breakpoint. Having a mix of core and surface preparation expands your arsenal. When competing, if you have a good look but can’t get the corners out with an asymmetrical core ball, switching to similarly surfaced ball with a symmetrical core will sometimes knock down those pesky corners. If symmetrical is not carrying, switching to an asymmetrical core can help. If you are in a tournament or league that moves lanes after each game, be ready to quickly make the switch between core types. House patterns have a reputation for being easy. That is not always true. House patterns can play easy for some and are more challenging for others. On a given house pattern, a high speed player who likes to play left-to-right may be scoring higher than a low speed player who likes to keep the ball in front of them, aka playing down the boards. On a different house pattern, a stroker who plays down the boards may be more likely to score than a player who wants to stand left and throw right. In short, while there is usually more oil in the middle of the lane, not everyone finds a house shot easy. House patterns give you more room to miss and, when you are properly matched up, the “area” to carry pockets hits can be quite vast. It’s easy to have a free swing when you have that much room. There is also a much smaller need to be an outstanding spare shooter on house shots. Sport patterns rarely start out giving that much room. Carrying on a sport pattern requires repeating shots, playing the breakpoint properly, and using the right combination of ball, core, layout, speed, and release to carry consistently. As with this year’s USBC Championships pattern, there are several ways to get to the pocket. However, finding a way to carry has been tricky for many. The singles and doubles pattern must be starting out very difficult because the “low to cash” for Nationals this year was abnormally low. However, as good players can do with sport patterns and, as happens eventually with all patterns, the shot will open up, give more margin for error, and allow the scoring pace to increase, as happened in this year’s USBC singles in comparison to the doubles scores. One other factor that is missed often is the altitude and temperature of a center. Both of these environmental variables affect how distribution of the oil on the lane changes as games progress. In the spring and fall, at least in my area of the country, centers have difficulty controlling the temperature inside the building. With the outside temperature changing by as much as 40 degrees day to day, it becomes very challenging for a center to maintain a consistent environment. This is not from lack of effort. Centers are large micro-environments. The temperature of a center is directly affected by the doors being open and closed frequently. (These same environmental factors contribute to the perception that a shot is different from week to week). Temperature greatly affects how the lane changes. The hotter the center is, the faster a shot will transition. The cooler the center, the slower the transition will be. The higher the altitude, the thinner the air. Baseballs fly farther at Coors Field in Denver. Golf balls go shorter distances at courses along the beach. While the influence of air pressure on the ball is not discernible to us, that same pressure on the oil may change the speed and type of transition the oil goes through. Centers located in higher altitudes will not just have the appearance of having less oil, there really will be less, as oil will have less mass in higher altitudes than it has in lower altitudes. Centers in lower altitudes will appear to have a greater volume of oil because the air is heavier, even though the volume of oil may be the same as in the high altitude center. The higher the altitude, the quicker the transitions. The lower the altitude, the slower the transitions. I often hear from bowlers that this house is “dry” and another center is “oily.” There are so many factors that affect this appearance/perception – and that’s before we even enter a discussion of where and how one plays the lane. The best course of action is to do what the lanes tell you to do that day. You want to be able to play whatever shape the lanes call for standing anywhere on the approach. You play what the lanes give you. 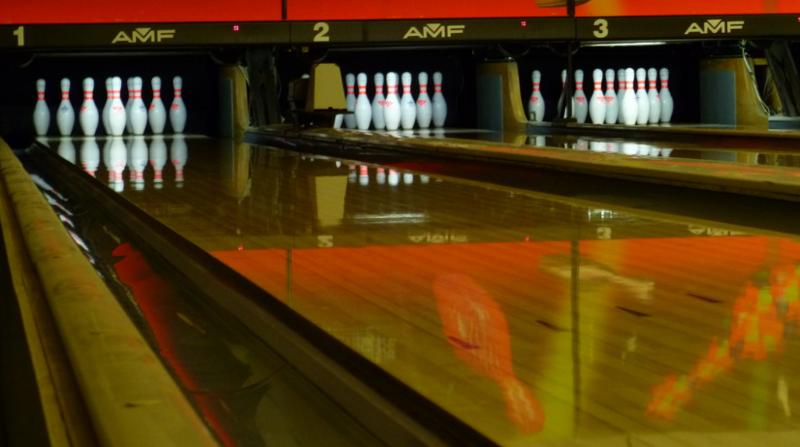 You can’t play the lanes the way you want to play them. I believe I have given you some more arrows for your quiver and, to quote an amazing coach, “Whoever finds it first, wins.” (Thanks, Susie). I hope I have given everyone new information to consider. Thanks to Chuck Farish, Cortnei Burks, Seby Silverstri, Barb Duffie-Beasley, Alex Whobrey, Josh Puher, and all the wonderful league bowlers and coaches with whom I get to discuss our great game. Previous Previous post: Bowling tips: How far should you slide?